The Jack Spade dipped bill leather wallet is the perfect accessory for the young, stylish and fashion conscious. The wallet has 6 card slots, two pocket sleeves and a pocket for bills. The exterior is wrapped in black and blue to make it a one of a kind piece. 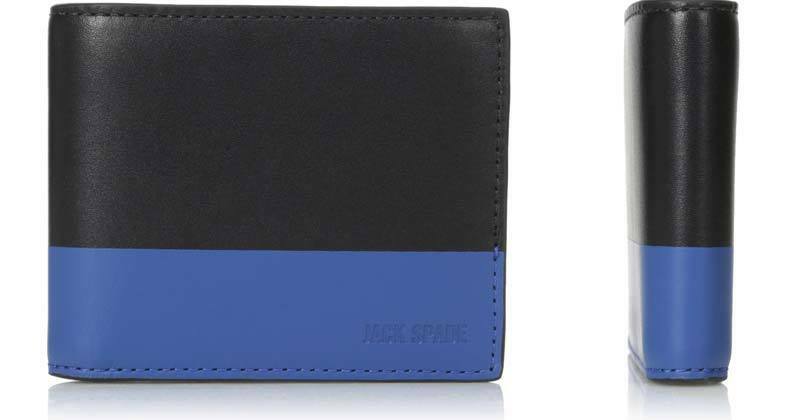 Buy your Jack Spade dipped bill wallet, click here! It features a slimmed-down silhouette that slips easily into pockets. Also features six credit card slots, two pocket sleeves, and a pocket for bills. Jack Spade Mens Dipped Leather Bill Holder : Jack Spade Wallets 0 out of 5 based on 0 ratings. 0 user reviews.